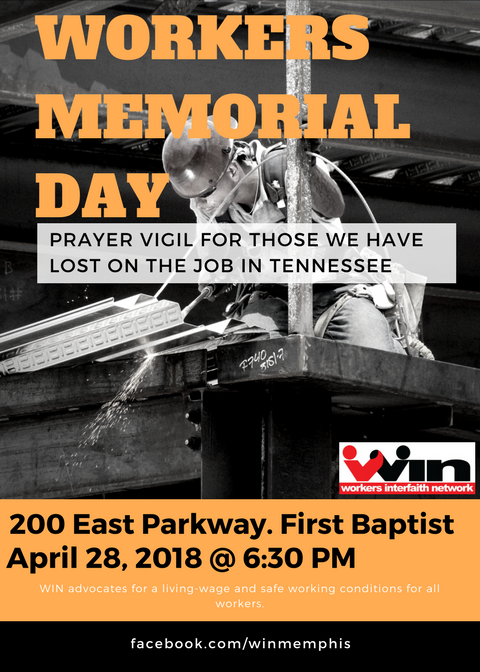 Workers Interfaith Network is hosting a prayer vigil to honor those we have lost over the last year. In Tennessee alone TOSHA states that we have lost over 55 workers due to work related injuries. We will gather for a brief vigil at 6:30pm on Saturday April 28 in front of First Baptist Church (200 Poplar Ave).